ACCOMODATION All the hotel’s rooms are equipped with modern and luxury new facilities these are provided in a first-class hotel. The hotel has 101 rooms including Suites with view of Tong Dan old-street through the signature balcony design. 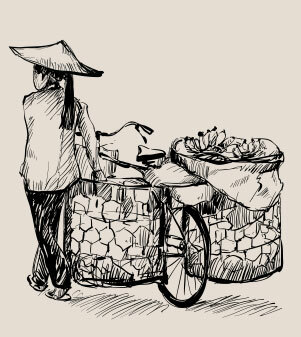 After recently renovation, we still want to keep this design in order to recap all beautiful memories of hotel’s historical images. 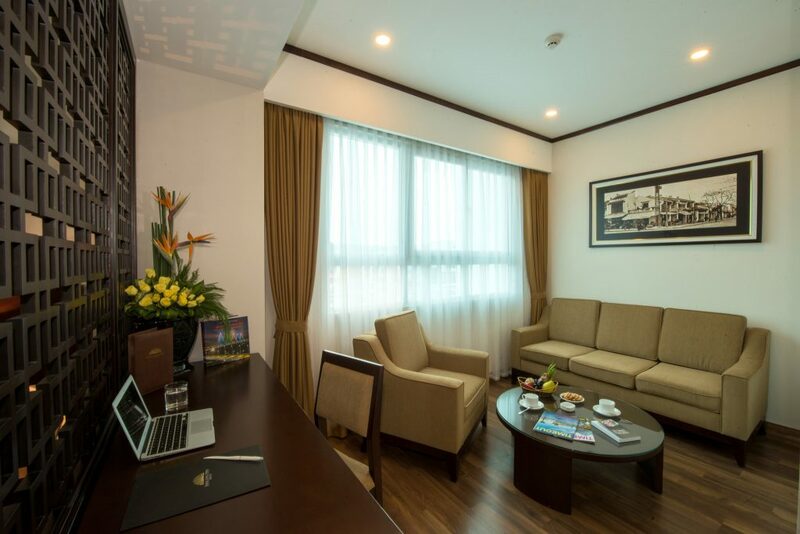 For creating the guests much more experience while staying with us, we provide 5 types of room and suites: Superior, Deluxe Opera, Junior Suite, Opera Suite and Thang Long Suite. 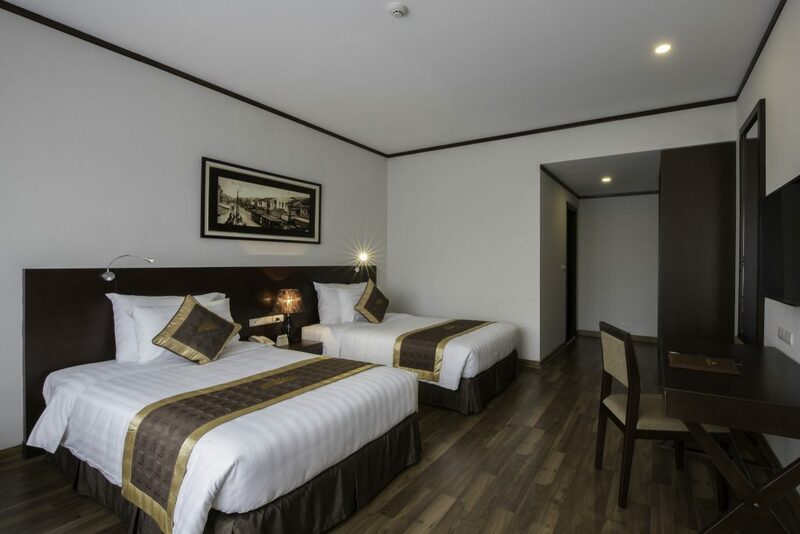 The Superior Rooms are available with either king or twin-sized beds. Decorated in a standard neutral palette, these rooms feature modern décor and amenities including the air-conditioner, free Wi-Fi Internet, a flat screen LCD TV, safety deposit box, mini-bar, free 2 bottles of water every day, tea-coffee maker in room and a bathroom with standing shower. These rooms can accommodate up to maximum 2 adults and 1 child under 10 years old. Extra beds are unavailable for this room type. For more options of king, twin or triple beds, our elegantly-designed Deluxe Rooms are comfortable for all types of traveler even long-staying guests. 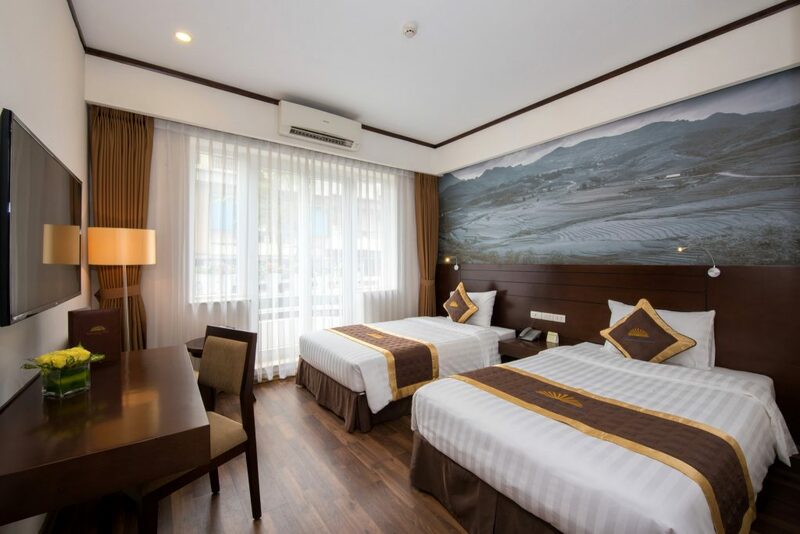 Decorated in a luxury neutral palette, these rooms provides the air-conditioner, free Wi-Fi Internet, a flat screen LCD TV, safety deposit box, mini-bar, free 2 bottles of water every day, tea-coffee maker in room and a bathroom with standing shower. These rooms can accommodate up to maximum 3 adults. An extra bed is available upon request. For more option of triple beds, our elegantly-designed Deluxe Triple Rooms are comfortable for all types of traveler even long-staying guests. 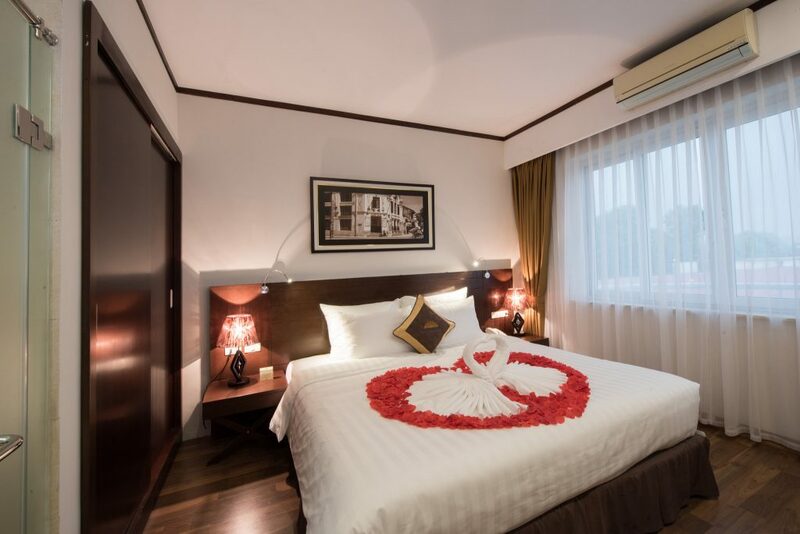 Decorated in a luxury neutral palette, these rooms provides the air-conditioner, free Wi-Fi Internet, a flat screen LCD TV, safety deposit box, mini-bar, free 2 bottles of water every day, tea-coffee maker in room and a bathroom with standing shower. These rooms can accommodate up to maximum 3 adults. The Junior Suites are decorated in a stylish palette of neutral shades with colorful accents, these rooms offer spacious accommodation and luxurious facilities with window. Available with choice of kings, twin or triple beds with a comfortable living room, furnished with sofas, chairs and a coffee table. These rooms can accommodate up to maximum 3 adults. An extra bed is available upon request. The Opera Suites are decorated in a stylish palette of neutral shades with colorful accent with large window and a balcony overlooking beautiful sightseeing to the street. These rooms offer spacious accommodation, luxurious facilities and particular space for honey-moon couples with bathtub design. Available with choice of kings, twin or triple beds with a comfortable living room, furnished with sofas, chairs and a coffee table. These rooms can accommodate up to maximum 3 adults. An extra bed is available upon request. 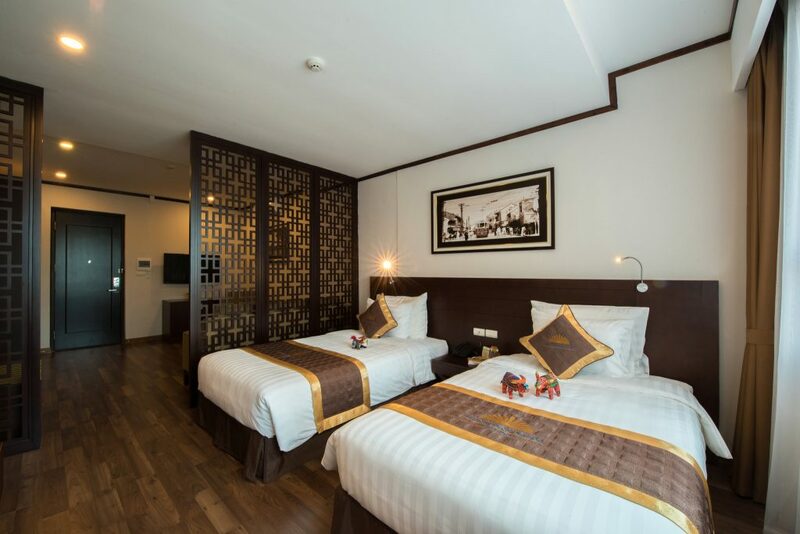 Our exclusive Thang Long Suites comprises an excellent choice for families or friends groups, offer all the style and comfort with the sense of luxury and professional service. 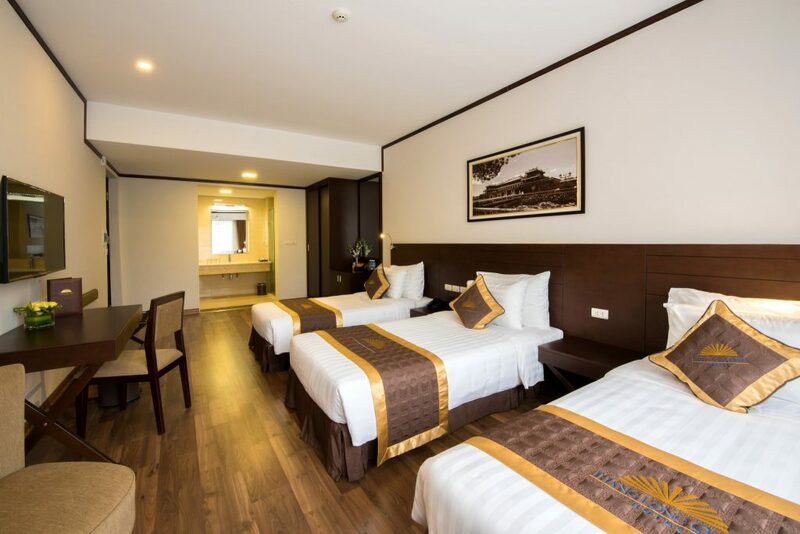 With the spacious connecting doors bedrooms, it can be accommodated up to maximum 4 adults in this room. An extra bed is available upon request.